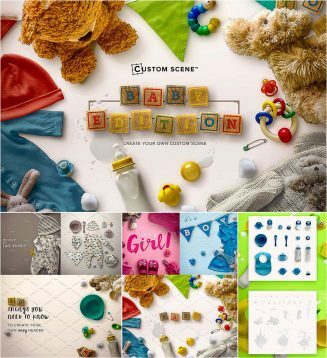 Set of 160+ isolated objects, 6 pre-made scenes for creating unique baby designs or create their baby shower invite. File format: .psd, .png for Photoshop or other software. Tags: Baby, baby shower, bib, child, kid, newborn, scene generator, stationery, toy.